The Welcome Center is a restored home donated to the park by the Carl Warren family. Originally built in 1896, the home was moved and renovated. 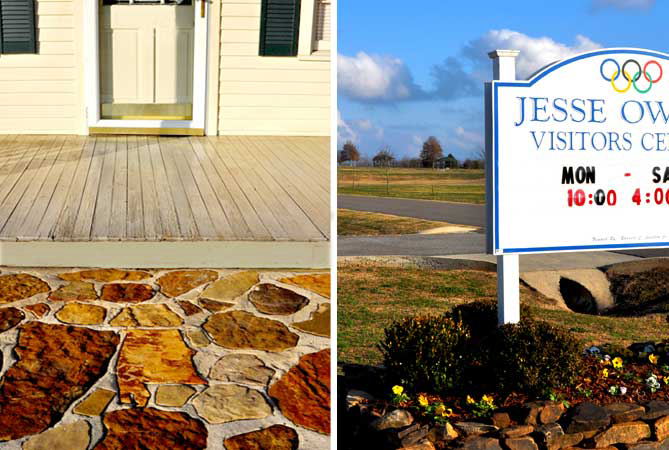 The path to the welcome center includes a stone carved in the shape of Alabama. The welcome center and museum is staffed during operating hours.